Cologne - After the dust had settled on a thrilling 1-1 draw between Rhineland rivals 1. FC Köln and Bayer 04 Leverkusen, the former were over the moon at securing a late point which left their visitors understandably disappointed. 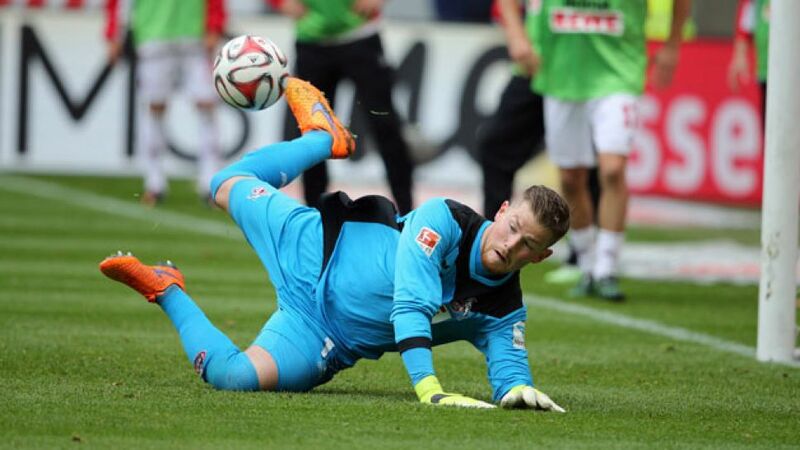 Timo Horn: "It's a draw which actually feels like a win. Anyone in the stadium could see that towards the end, we were the side pushing for victory and closer to getting the winner. It's always a deserved point if you come from behind against a side like Leverkusen, and I feel that we were rewarded for a good performance. I've been proud of the lads all season long, and particularly so today. We're a really good team and a tight-knit unit. If you look at how we played against a side like Leverkusen, who have very different ambitions from us, then the result is even more impressive. There's nothing better for a goalkeeper than saving a penalty, but then unfortunately I couldn't quite get to their opener. Ultimately, though, we can be really pleased with a point against Leverkusen and we'll keep working hard to pick up the points we need." Bard Finne: "I'm unbelievably happy with the goal and that I could help the team. It's my first goal and it's really nice to get a point for the team, particularly an important one." Matthias Lehmann: "It was an open, high-intensity game. The result is fair." Julian Brandt: "It feels good to have scored, but I'd have preferred to have won." Ömer Toprak: "You have to say that we didn't play very well at all. Even though we took the lead, we never managed to impose our style of play and so we probably didn't deserve to win." Stefan Kießling: "It was a pretty poor game from us today, but we still managed to take a point away from home." Simon Rolfes: "Today it was a mental thing. We weren't quite as involved from the off as we have been in the last few weeks."